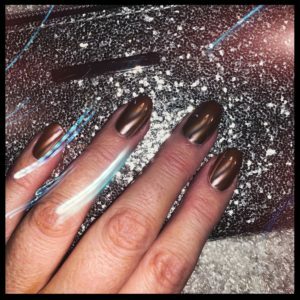 Party season is fast approaching and with so many office Christmas parties, family get togethers and not forgetting the obligatory nights out with the girls, this is one long party season you need to be polished to perfection and let’s face it, no outfit is complete without the best manicured nails. 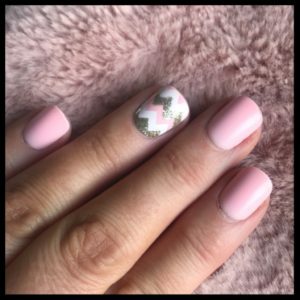 With all that being said it can be a minefield out there trying to choose which express nails to get, or you find yourself frustrated because your nail technician can’t squeeze you in and it seems everyone has made their nail bookings way before summer. 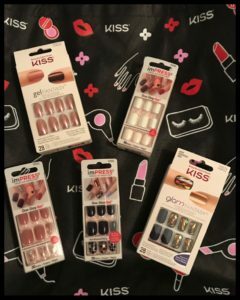 Fear not my lovelies no need to hyperventilate – your Fairy Nailmother has road tested some of Kiss Nails new collection and boy was I blown away! 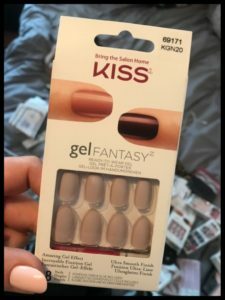 What I love about Kiss nails is the durability and fit. 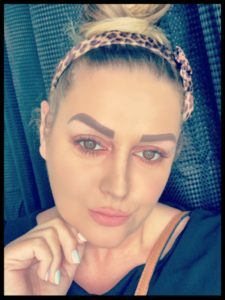 So many times I have tried other brands but the nails are too high arched and don’t fit my flat nail beds therefore popping off at every opportunity. 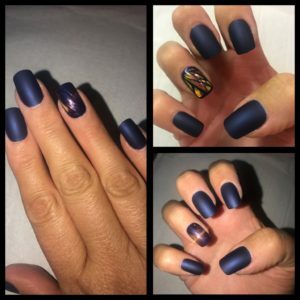 Kiss nails are the complete opposite and have a flexible fit that adheres to almost any nail type. 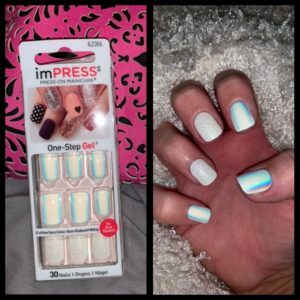 As well as the traditional glue on nails Kiss also have the fab quick imPRESS press-on manicure which have a dual-layer adhesive system which gives a super hold onto natural nails which does not cause damage. Perfect for those unexpected last minute drinks. I recommend you all carry a packet in your bag for those moments. 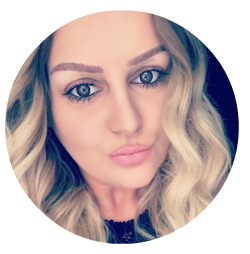 Kiss and imPRESS have an array of stylish on-trend designs in every colour imaginable to suit every personal style and you will not be disappointed.